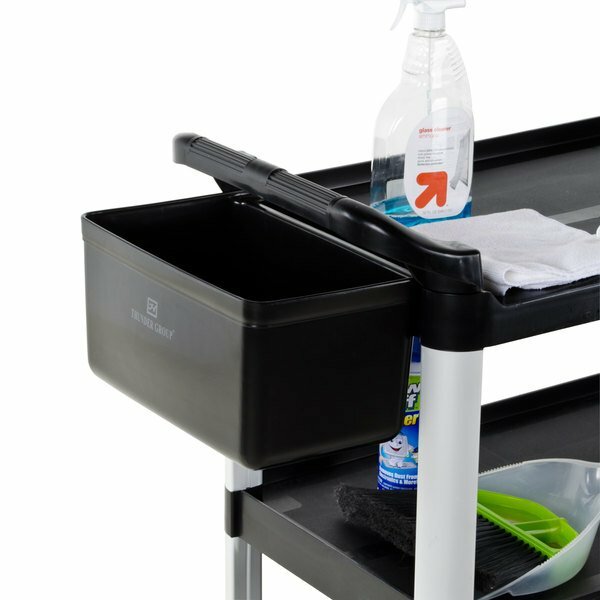 Efficient and reliable, this polyethylene silverware bin is the perfect addition to your utility cart! Quickly and efficiently set up for service, bus tables and transport silverware while keeping them sanitary with this useful bin. Made from durable and easy-to-clean polyethylene, this break-resistant silverware bin easily holds up to 100 complete place settings and attaches to your utility cart at your convenience. 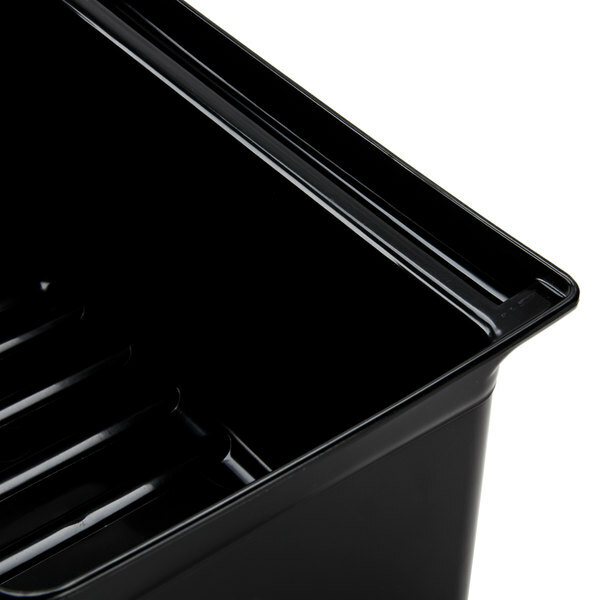 Unlike other bins, this slim container will not inconvenience your utility cart by taking up excess space. 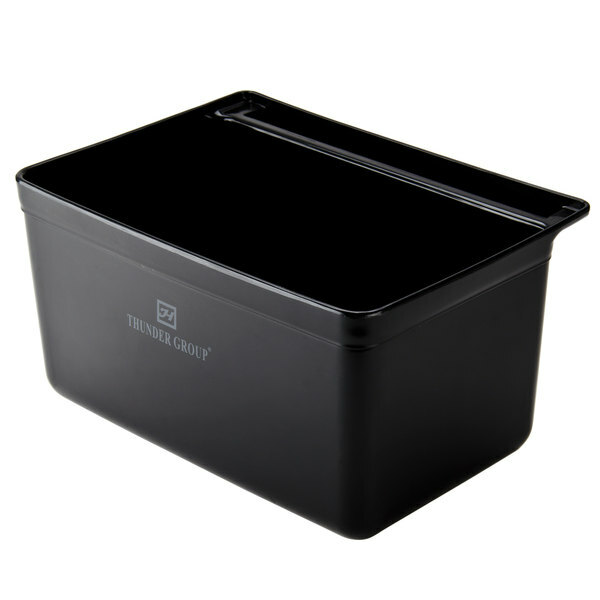 Be sure to keep your establishment clean and organized with this practical silverware bin! Silverware Bin can be use for different purpose. We use this to put decorations from sushi bar. Before buying this, we have to throw it into budget, which was damage during busy business hours. Perfect size and perfect spacing. Don't have to put an extra budget there. We have these on our stereo cart and they are great for holding the microphone and cords. They hold steady and are secure. Deep enough that the items do not spill over. Will buy more of these for our other carts. Got this for our bus cart to put silverware in. Pretty sturdy and easily cleaned. Good price for what you get compare to other stores. Great addition to the bussing cart purchased. Fits perfect on end of the cart and holds a large amount of silverware, etc. Definitely a great add on. Definitely order this silverware bin along with your utility cart. This really help to keep the silverware when we are doing dish and keep it from losing. This bin works great on the Choice brand economy cart. It is made of very heavy plastic and should last us a very long time. I really like this silverware bin for the utility cart. We are super short on space and this makes it easier to organize dirty dishes during the busy times. Definitely order it! Very useful addition to a great cart! We use it in the dining area for scraping plates before placing in bus tubs. 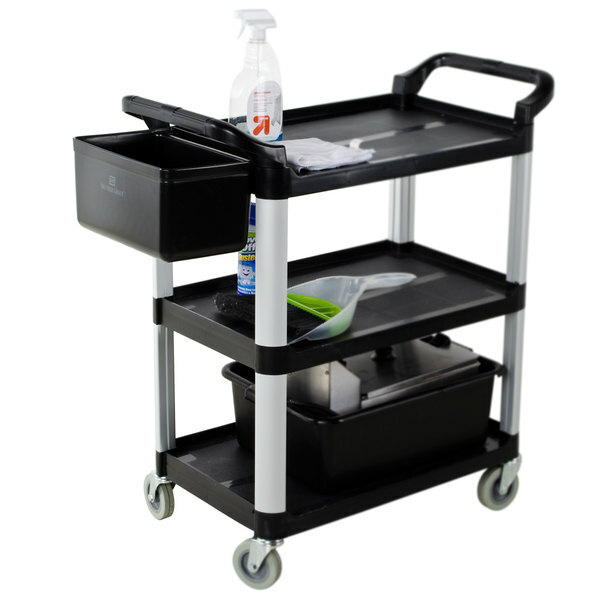 Washes easily and attaches to cart nice & sturdy.